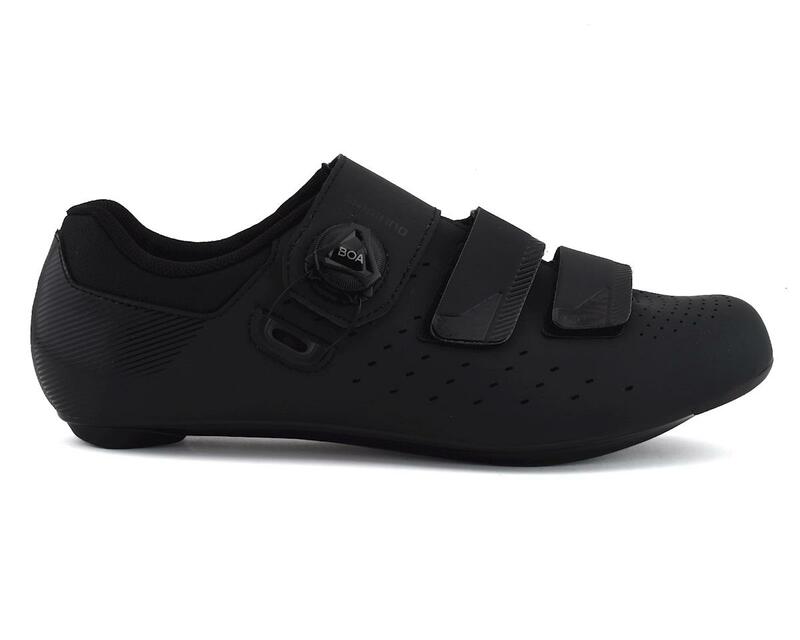 The Shimano SH-RP400 is an affordable high-performance road endurance shoe. A perforated high-density upper gives a nice breathable fit that can be dialed in via the Boa® L6 dial. 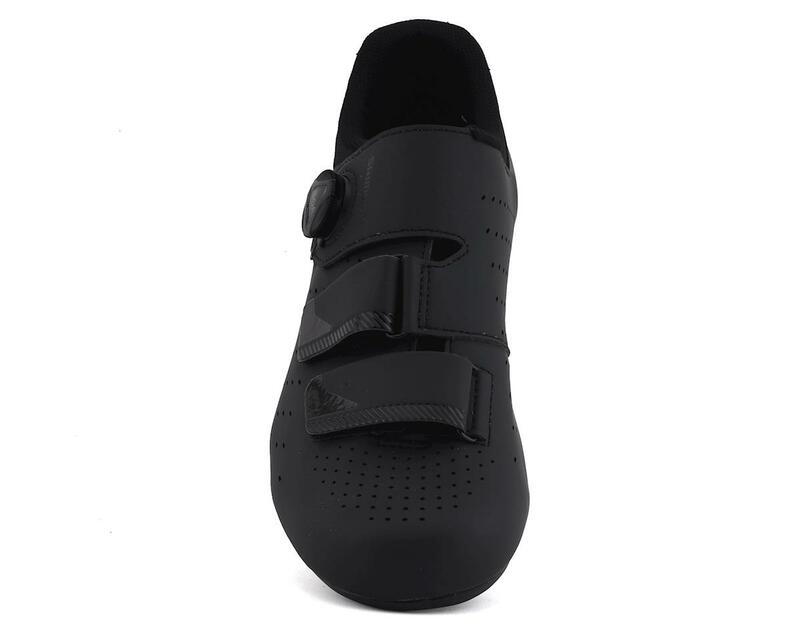 Offset hook and loop straps hold snug without excessive pressure on the top of the foot. 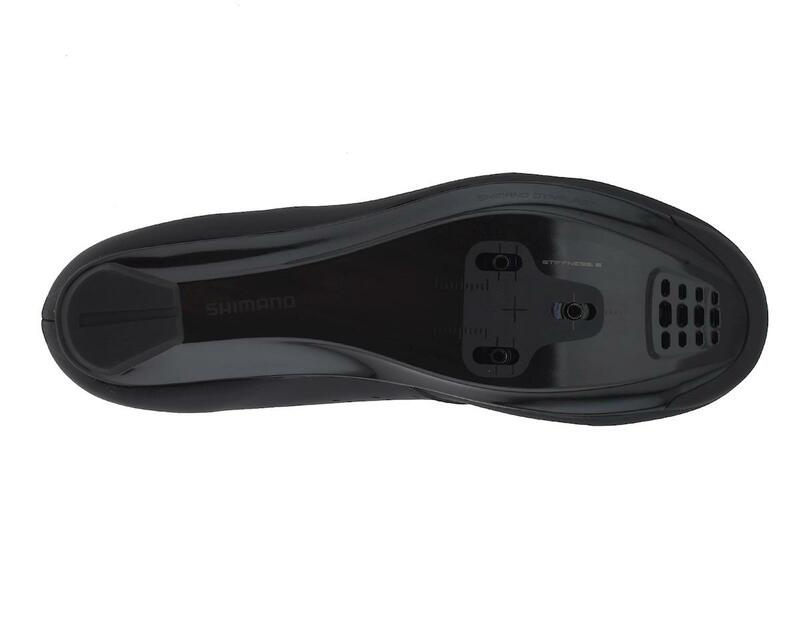 The lightweight glass-fiber nylon sole helps you put the power to the pedals, and the wide heel pads provide walking stability.